I was visiting Vibes & Scribes with LB to look for a fabric to alter a gingham ruffled-sleeved blouse. 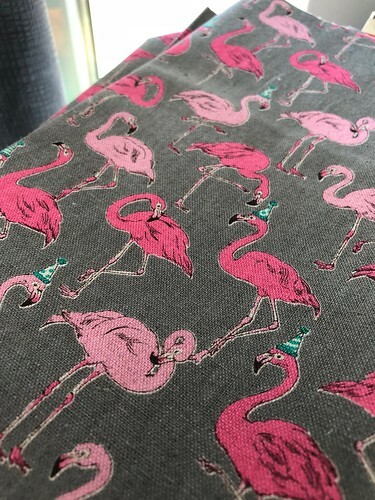 I settled on a beautiful flamingo fabric and bought half of one meter. 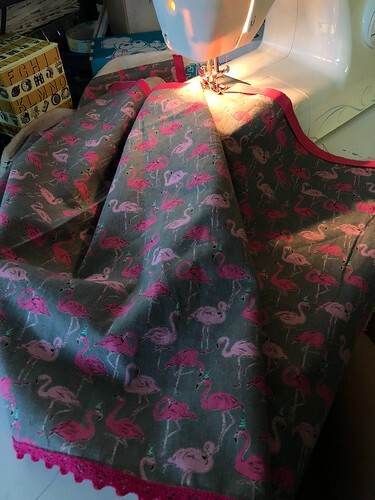 When I arrived home with the fabric, I realised that the fabric was the perfect size to make a simple summer skirt for myself. The gingham blouse could wait and I set my sights on a skirt. 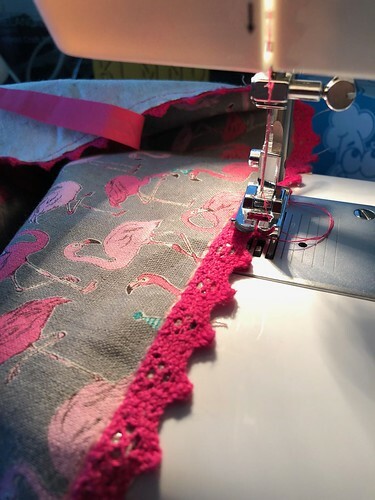 I already had a coordinating hot pink crocheted edging from Flying Tiger Stores, so I decided to use that on the hem. It had a pre-glued back though, which made it easier to keep in place while sewing but gummed up my sewing machine needle. I solved that by keeping a cottonball with rubbing alcohol handy and wiping the needle every few inches. 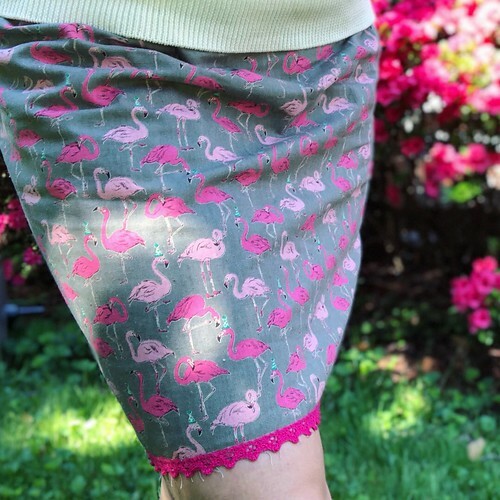 I also had coordinating bias tape, which I used for the waistline. 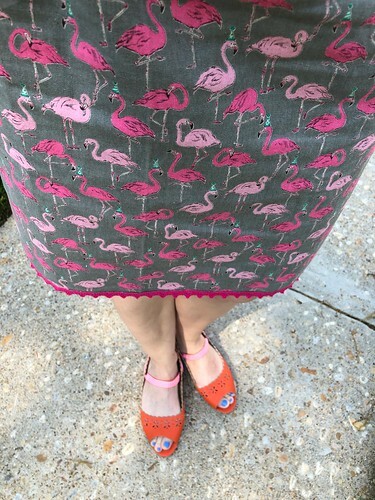 I sewed it all the way around the top before seaming up the back of the skirt. This would encase the elastic waistband. I used a plastic drawstring threader I’ve had for about eight years to draw the elastic through the waistband. 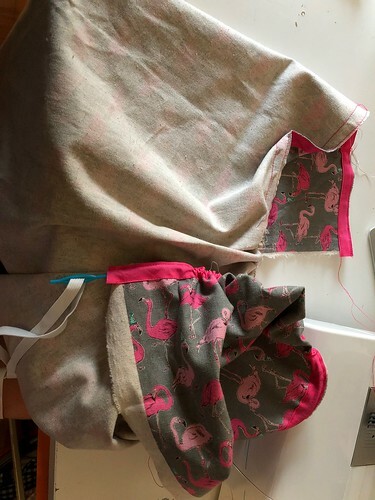 Then when the drawstring was in place, I pinned up the back to place the seam, then sewed it up and back. 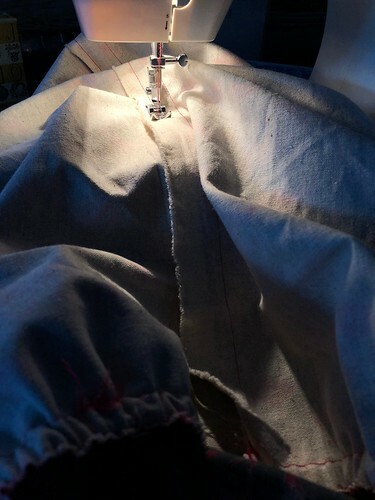 Then I stitched up the back again for it to be against the skirt itself to keep it tidy. The result is darling, summery, and on trend. 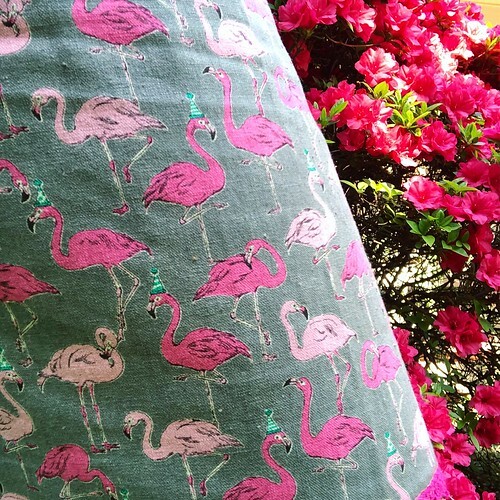 Don’t you just love that these flamingos have a sense of whimsy? The entire project took me about three hours. Additional Supplies: Crocheted hem accent trim from Flying Tiger. 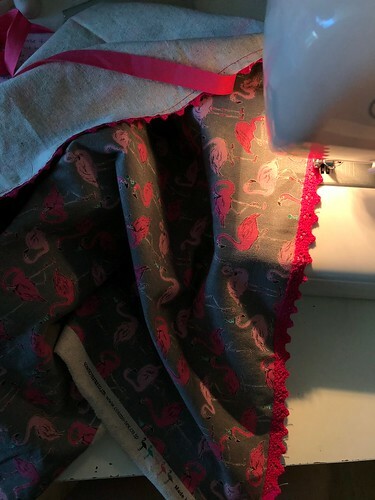 Hot pink bias tape for waistline. Elastic for waistband. Coordinating thread. 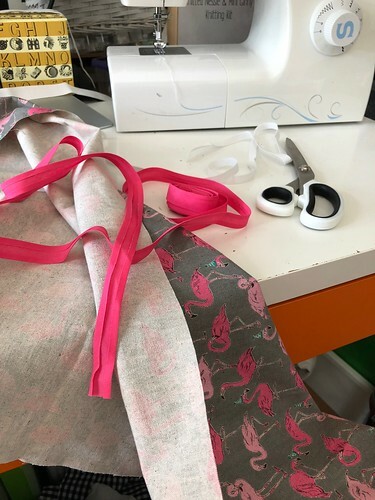 This entry was posted in Sewing | Embroidery.